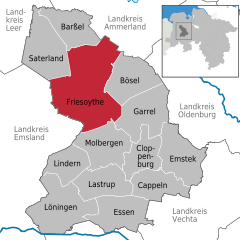 Friesoythe, in Saterland Frisian language Ait or Äit, is a town in the district of Cloppenburg, in Lower Saxony, Germany. It is situated on the river Soeste, approximately 25 km northwest of Cloppenburg, and 30 km southwest of Oldenburg. 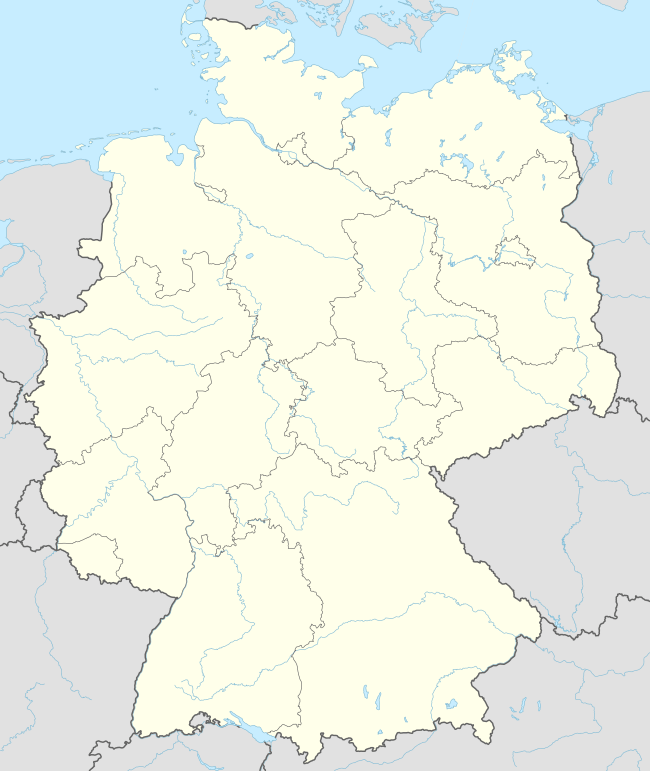 Friesoythe shares a diverse culture in Lower Saxony history. Many cultural influences of German, Anglo-Saxon, Dutch, East Frisian, Danish and Swedish culture are noticeable in the town and citizens. The town has a large following of Roman Catholicism and small percentages of Calvinism and Lutheranism. 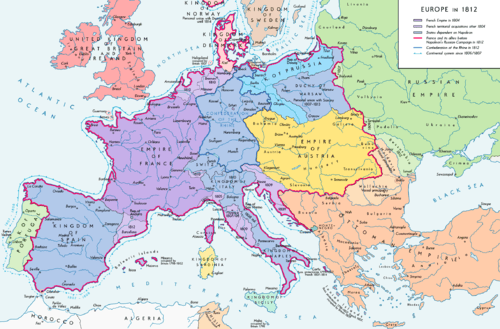 It was part of the Prussian empire and also under rule to the French Empire in the 18th century. In April 1945, the town of Friesoythe felt the full force of an attack by the 4th Canadian (Armoured) Division, under General Christopher Vokes. Most of the town's population of 4,000 moved out to the surrounding countryside on about April 11–12, 1945. The town was defended by some 200 paratroopers of Battalion Raabe of the 7th German Parachute Division. These paratroopers repelled the first attack by the Lake Superior Regiment (Motor) on April 13. The Lake Superior Regiment suffered two dead and nineteen wounded. German casualties are not known. Vokes ordered the resumption of the attack the next day by The Argyll and Sutherland Highlanders of Canada (Princess Louise's) commanded by Lt. Col. Frederick E. Wigle. The attack went well, with the Argylls securing the town by 10:30 hours. However, at 08:30 a small number of Germans caught Wigle's tactical headquarters by surprise; resulting in the death of Wigle and several other soldiers. Lieutenant Alan Earp also survived a direct shot through the head. Individual units and soldiers of the Argylls had spontaneously begun the arson of Friesoythe by way of revenge for the death of their colonel, but after Vokes issued his direct order, the town was systematically set on fire by means of flamethrowers mounted on Wasp Carriers. The destruction was massive. According to German estimates, 85% to 90% of the town was destroyed in the course of this reprisal, making it one of the most devastated towns in all of Germany at the time. Friesoythe has grown from a village to a small city and shares old traditional and modern style build buildings of German architecture, Bauhaus, Victorian style, Renaissance and Barok style. Large multinational companies are settled giving the city a modern appearance and lively feeling. Hospital, schooling, bus and train service, health service are all available in the city centre. The city has good communication and infrastructure and many American Germans and Polish, Russians integrated. G. L. Cassidy, Warpath; the Story of the Algonquin Regiment, 1939-1945. Toronto: Ryerson Press, 1948. Ferdinand Cloppenburg, Die Stadt Friesoythe im zwanzigsten Jahrhundert. Friesoythe: Cloppenburg, 2003. Limited to 1,000 copies. Tony Foster, Meeting of Generals. Toronto; New York: Methuen, c1986. Robert L. Fraser, ed. Black Yesterdays; the Argylls’ War. Hamilton, ON: Argyll Regimental Foundation, 1996. A work of 608 pp., numerous photographs, many illustrations, (some col.) limited to 1,000 copies. A lavish, massive, even monumental history of the Canadian Argylls during World War II and a model of its kind. Friesoythe 25 Jahre danach: 1945-1970. Friesoythe: Stadt Friesoythe, 1970. Landkreis Emsland. 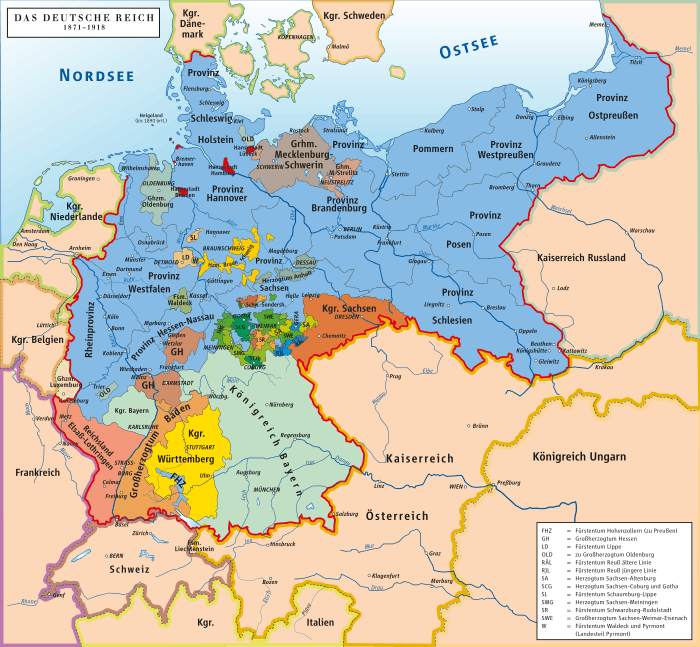 Wege aus dem Chaos; Das Emsland und Niedersachsen 1945-1949. Begleitbuch zur Ausstellung. 2. Aufl. Hrsg. vom Landkreis Emsland. Meppen: 1988. C.P. Stacey, A Date with History; Memoirs of a Canadian Historian. Ottawa, ON: Deneau, c1983? C.P. Stacey, Official History of the Canadian Army in the Second World War. Vol. III. The Victory Campaign; the Operation in North-West Europe, 1944-1945. Ottawa: Queen’s Printer, 1960. Chris Vokes, Vokes, My Story. By Major General Chris Vokes with John P. Maclean. Memorial Edition. Ottawa, ON: Gallery Books, 1985. War Diary, 1st Battalion, The Lake Superior Regiment (Motor), April 12, 1945, sheet 15. Ottawa, ON, Canada. National Archives of Canada, RG 24, Vol. 15,099. War Diary, General Staff, 4th Canadian Armoured Division, April 14, 1945, p. 15. Ottawa, ON, Canada. National Archives of Canada, RG 24, no. 13,794. August Wöhrmann, “Die Kämpfe 1945 in und um Friesoythe,” IN Friesoythe 25 Jahre danach: 1945-1970 (Friesoythe: Stadt Friesoythe, 1970) 8-29. Wöhrmann was the first to make a serious examination of the issue, and this work is a ground-breaking study of great value which identifies many of the relevant sources. Unfortunately Wöhrmann, a former soldier himself, reports he was unable to make any contact with the German paratroopers who defended Friesoythe. ↑ The Friesoythe Amtsgericht, or District Court, was closed on April 11th. If the District Court ceased to function on April 11, 1945, the evacuation of the bulk of the civilian population probably took place between April 11th through April 12th 1945. It was clearly a German and not a Canadian initiative. Ferdinand Cloppenburg, Die Stadt Friesoythe im zwanzigsten Jahrhundert, 173. ↑ War Diary, General Staff, 4th Canadian Armoured Division, 1 April 1945-30 April 1945. Appendix 38; dated April 14th, 1945. National Archives of Canada, Ottawa, ON, RG 24, vol. no. 13794. Intelligence report signed: E. Sirluck, Capt. ↑ War Diary, Argyll and Sutherland Highlanders of Canada, April 14, 1945, pp. 10-11. Ottawa, ON, Canada. National Archives of Canada, RG 24, v. 15,005. The same entry for April 14th, 1945, is also reprinted in Robert L. Fraser's Black Yesterdays; the Argylls’s War, p. 431. Interview with Alan Earp. ↑ All the published accounts relate that Col. Wigle was shot in the back. However, Dr. Doug Bryce, the Medical Officer of the Argylls, said that he was shot in the head. Dr. Bryce thought very highly of Wigle (“the most wonderful man I have ever met”) so his version has to be given credence on various grounds. Interview with Dr. Bryce, May 11, 1998. ↑ Chris Vokes, Vokes: My Story, 194-195. A substantially identical account of Vokes and his role in the destruction of Friesoythe is found in Tony Foster’s Meeting of Generals, 437. ↑ Robert L. Fraser, Black Yesterdays; the Argylls’ War. See the section entitled “The Burning of Friesoythe?” on pp. 435-437. ↑ Ferdinand Cloppenburg, Die Stadt Friesoythe im zwanzigsten Jahrhundert, pp. 165, 189; Brockhaus. Die Enzyklopädie. Leipzig: Brockhaus, 1996. 20. Aufl. V. 7, p. 730.